JMT designed the widening and reconstruction of interstate highway and interchanges, resulting in improved traffic conditions and safety. 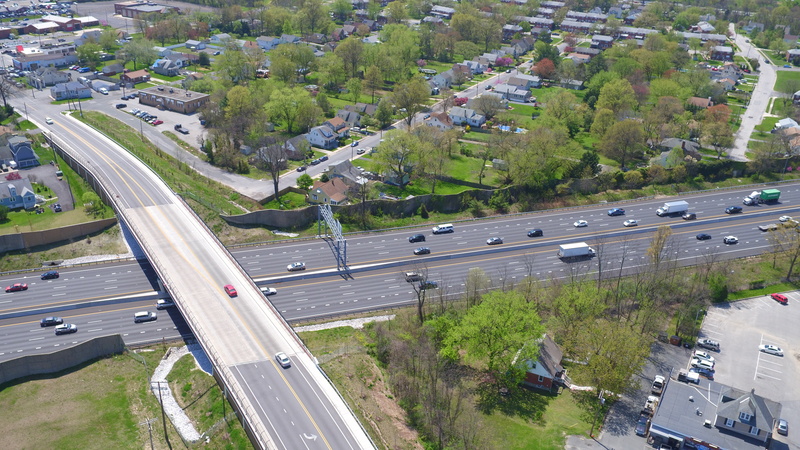 This Maryland Department of Transportation State Highway Administration (MDOT SHA) project involved the widening and reconstruction of nearly one mile of I-695 in both directions between the Perring Parkway (MD 41) and Harford Road (MD 147) interchanges, and the reconstruction of the Old Harford Road bridge over I-695. 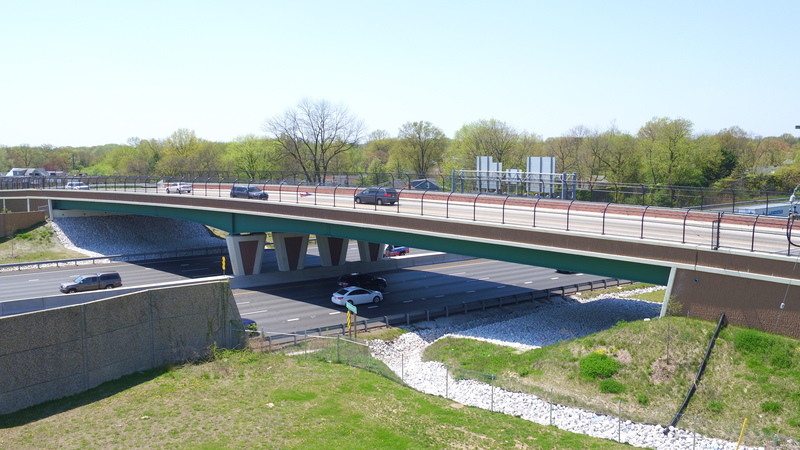 MDOT SHA desired to build as much of the ultimate typical section as possible within the existing right-of-way and noise wall footprint. 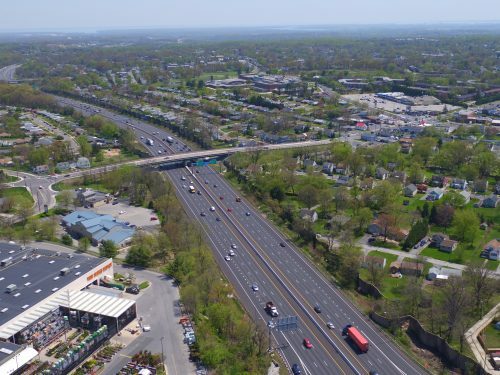 This typical section accommodated potential future options for high-occupancy vehicle lanes, express toll lanes, and general purpose lanes. 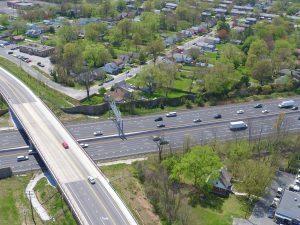 For now, the project includes three through lanes and a continuous auxiliary lane between interchanges in each direction, as well as median barrier reconstruction. 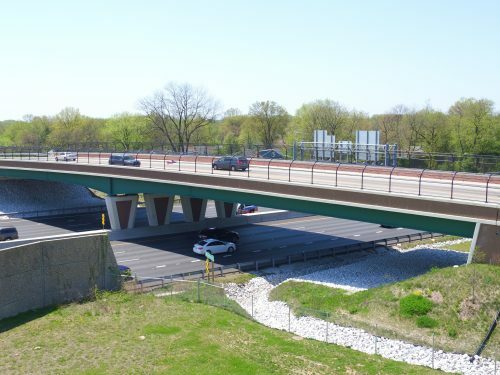 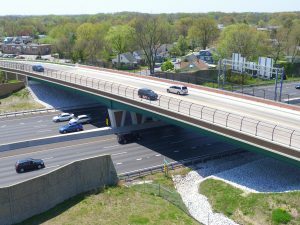 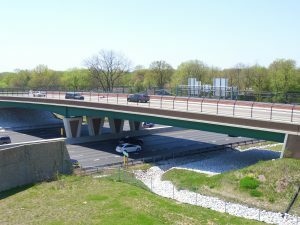 The ultimate typical section was used to determine the length of the Old Harford Road bridge over I-695 and the limits of impact along Old Harford Road. 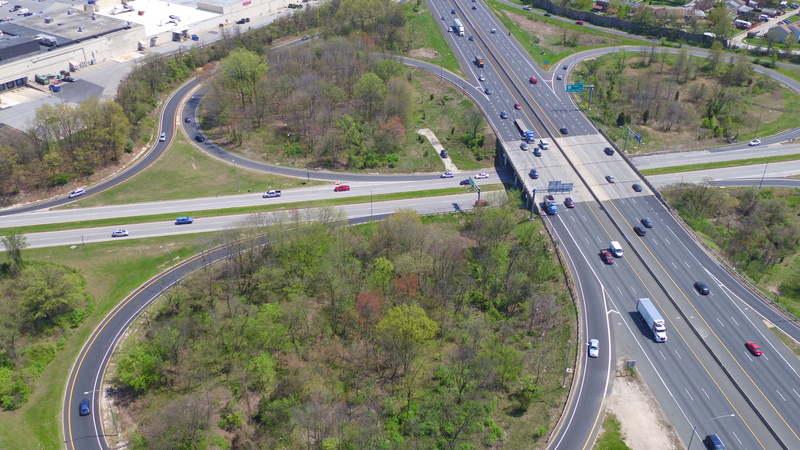 The existing cloverleaf configuration at I-695/MD 147 included short weave sections. 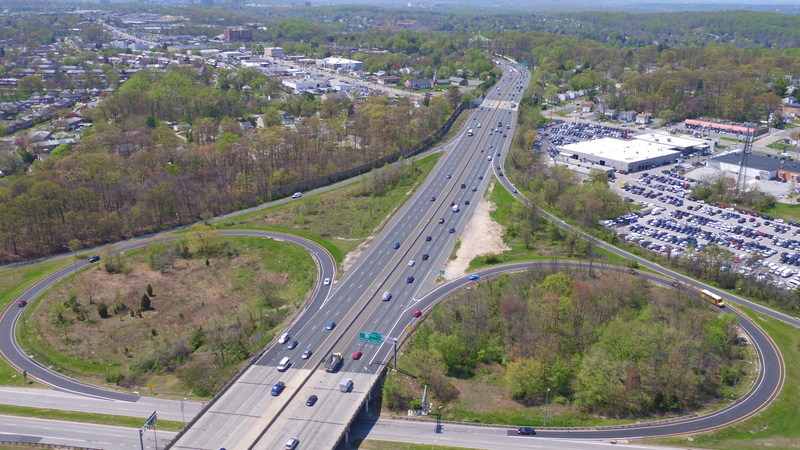 The volume of traffic merging on and off I-695, combined with the short distance of the weave segment along eastbound I-695, caused congestion upstream on the interstate, especially during the PM peak period, with motorist fatalities recorded within this segment. 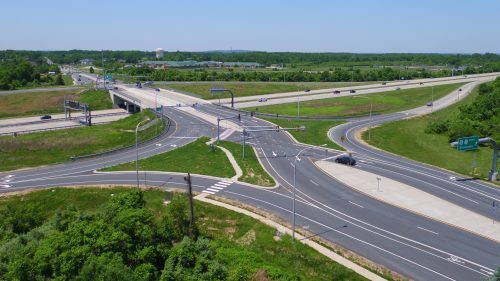 JMT designed the deconstruction of the cloverleaf, specifically removal of the I-695 eastbound to MD 147 northbound ramp and widening of the I-695 eastbound to MD 147 southbound ramp. 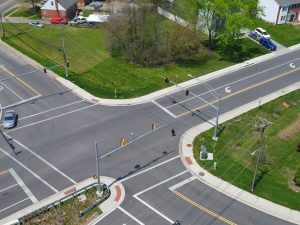 This changed the traffic movement to left turns northbound onto MD 147 using a new, fully-actuated traffic signal with a pedestrian crossing. 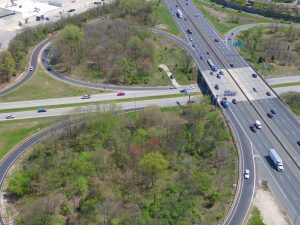 These improvements not only benefited motorists along I-695, they also improved accessibility along MD 147 for both motorists and pedestrians. 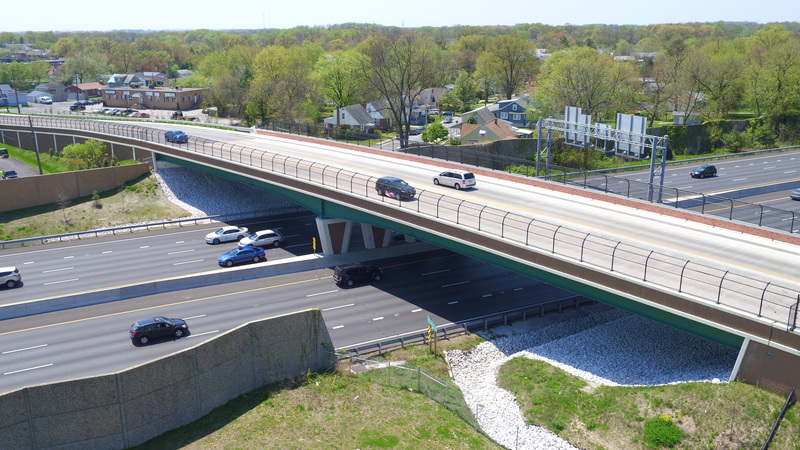 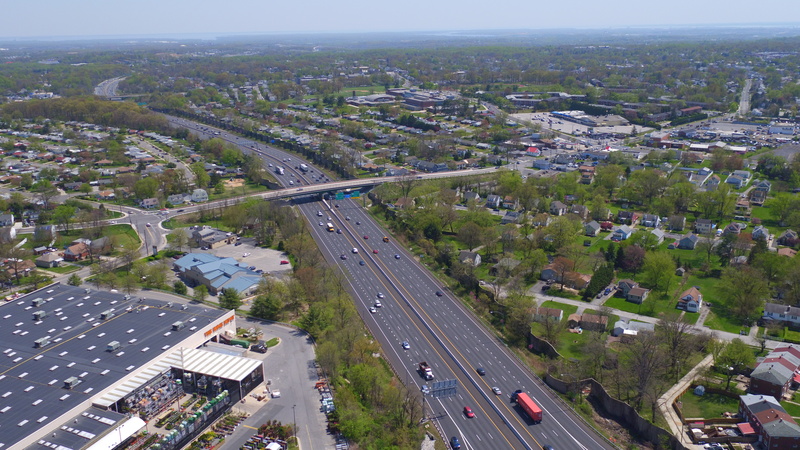 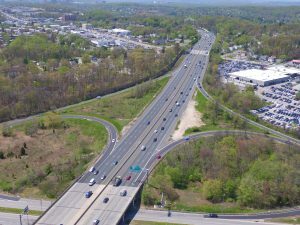 Beyond I-695 itself, JMT designed roadway improvements for approximately 1,500 feet of Old Harford Road because of the vertical modifications needed to provide clearance over the future I-695 typical section. 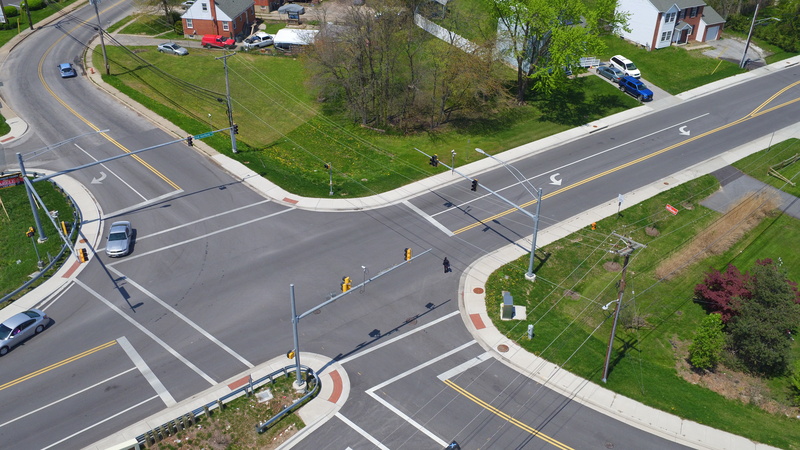 The Old Harford Road work included intersection improvements and signal designs, and reestablishment of residential driveways along the corridor. 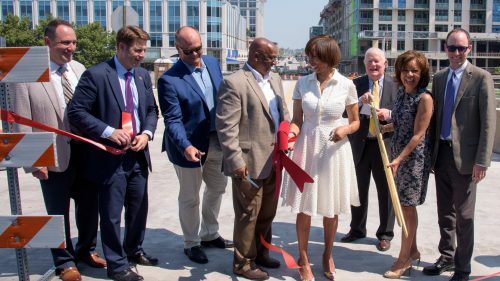 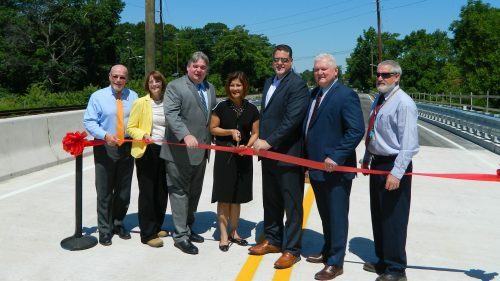 Pedestrian facilities were added along Old Harford Road to improve pedestrian safety, helping protect the many children who walk to and from nearby schools.